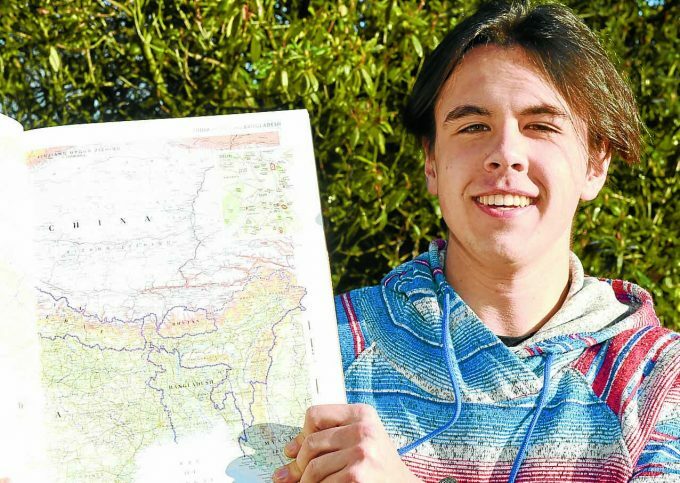 Rory Holden, 18, will embark on his adventure to South Asia at the beginning of March to participate in the International Citizen Service (ICS) project. After discovering ICS online and reading about what they do, he knew it was “something really awesome” and the challenge he had been looking for prior to starting a degree in neuro sciences at the University of Glasgow next year. The former Lockerbie Academy student said: “I decided last year that I wasn’t gonna go to university and take a gap year. During his time in Nepal, which suffered a major economic crisis in 2015 following a devastating earthquake, Rory will assist in an employment initiative offering sessions about business growth and support. He will be staying with a Nepalese family, with between two to six other volunteers, and living life just like a local, adapting to their culture and eating their cuisine including the likes of Dal Bhat and Momo, which he is looking forward to. Prior to his departure, he will spend four days in Warrington, getting to meet fellow volunteers and meeting former volunteers to get a better insight into what lays ahead. Meanwhile, his current focus is raising £1500 towards the trip and he has a series of events planned, such as cycling from Middlebie to Glasgow in one day and organising a race night in Middlebie Hall at the end of February, for which he is seeking sponsors.